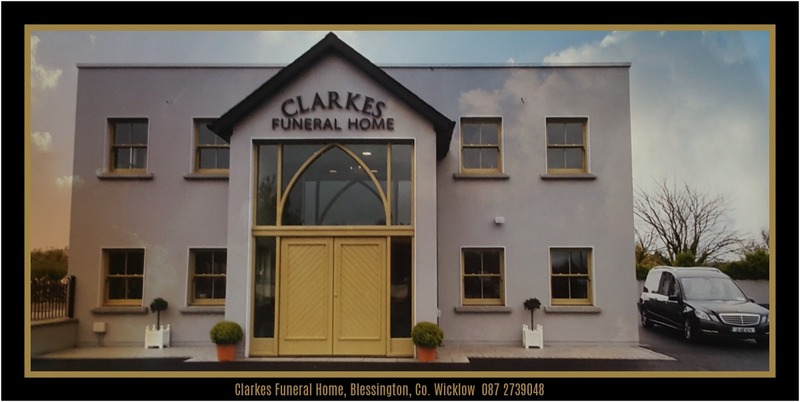 Clarkes Funeral Directors, Burgage More, Blessington, Co. Wicklow. Managed by Tony, Regina and Gordon Clarke. 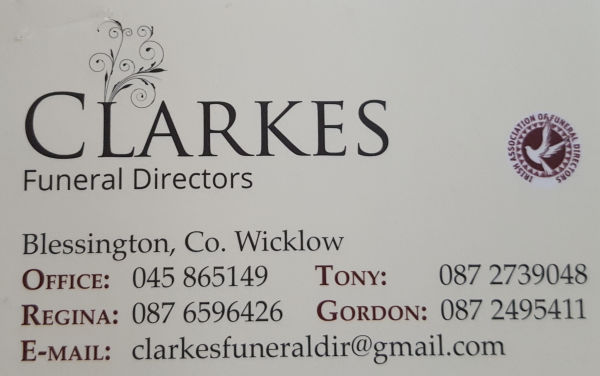 We offer a highly professional and personal 24 hours service to bereaved families in West Wicklow, Dublin and Kildare areas. We provide a complete funeral service with care and compassion and assistance to minimise distress to the bereaved. Our service is conducted in a sensitive, dignified and efficient manner. When a bereavement occurs, the death of a loved one, family or friend, having to arrange a funeral can be a big undertaking. 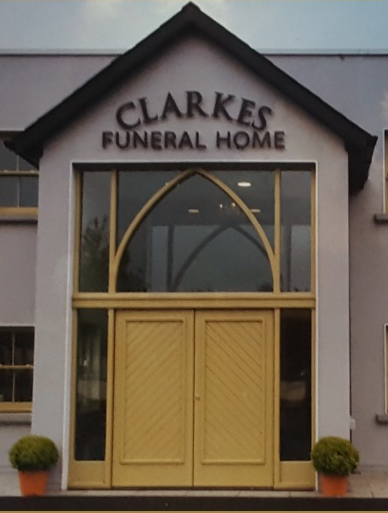 This is where Clarkes Funeral Directors can assist you. Call at any time day or night, we will help and guide you through the entire process. As undertakers we facilitate the various services that are required to organise the funeral. The Church, multi-denominational, places of worship, obituary notices, crematoria, music, grave purchase, limousines, hygienic treatment and any special requests, we liaise with all of these services. We assist with Death Certificates and any other queries.